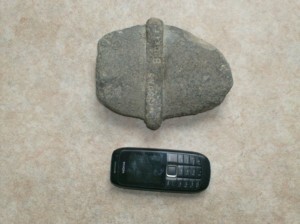 A reader of the blog has sent me two images of a puzzling object they recently found along the Boyne estuary. It consists of a roughly oval, flat stone that has a pattern carved into one side (the mobile phone in the image above gives a sense of scale). The carving consists of a centrally placed raised lip/bar running widthways across the stone and then six diamonds running lengthways, which appear to be in a recessed channel. The overall effect being slightly cruciform. The opposite side of the stone has another raised bar/lip along which is inscribed ‘Gibson buckle’ or possibly ‘Qibson buckle’ . Any ideas what this mystery object may be? Maybe just me but looks ritualistic. Any idea when it came from? Could have been part of something else involved in religious ceremonies. Could even be a seal of some sort. Could be a very fancy axe head. 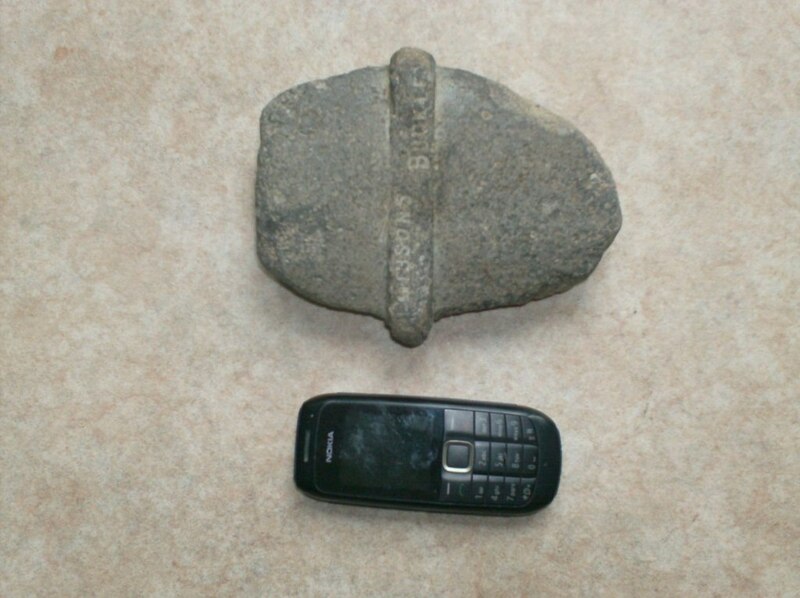 Possibly a portable mass stone from penal times? 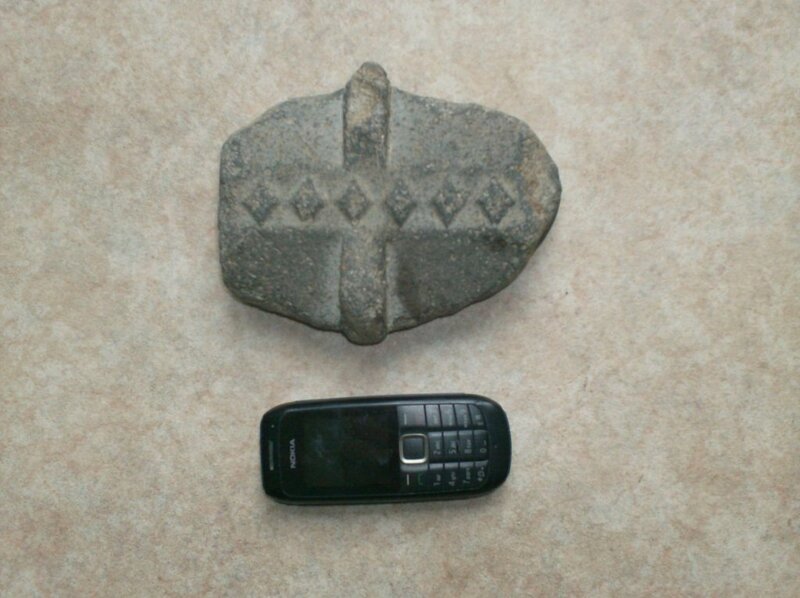 A colleague showed me something very similar recently which was found near a mass rock near carrickfergus co. antrim. Possibly a leather stamp for a belt which was to be fitted with a ‘Gibson buckle’. The raised area could have been used to fit another half of the mould to ensure that the stamp’s continuity was crisp and did not overlap itself. 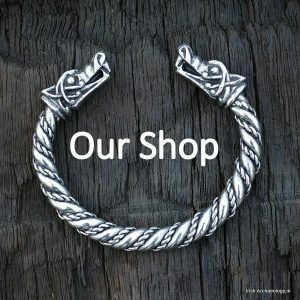 Could it be for winding wool? I have seen circluar stones with holes in them that are spindles marked as ‘unknown’ in museums. Maybe other wool technology is also not well known. There are 7 diamonds, or probably more correctly 8 X’s on the roof baox and only 6 diamonds on the above objects though.. I can see that being used to press-decorate the sides of ceramic pots etc prior to firing; the giveaway would be if that pattern repeats on any pots in the region, of course; a flattened ring with vertical bars and an outer ring with recessed diamonds. It looks to me like a bishops mitre. Perhaps it’s formerly part of an effigy that was smashed during an iconoclastic rage? The carved writing on the back looks rather modern – might it not be a part from a larger sculpture from a century or five ago, which has since been dismembered or damaged sometime in the last century during which someone carved the words on the back? hi all, i.ve been in touch with the national museum and havnt heard anything back from them. 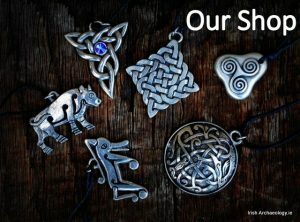 (dissapointing half arsed paddy irish attitude) do you guys know anywhere else i might get some info.thanks in advance. The find appears to be a corraded fragment of tile or other ceramic product manufactured by Buckley Brick & Tile Co Ltd of Brookhill and Belmont Brickworks, Buckley, Flintshire, North East Wales, which used the commercial name ‘Gibsons’, Gibosn being the surname of the works manager in the nineteenth century and of two managing directors in succession in the twentieth century. The company worked clays of a wide variety of colours and is known to have belended them to achive certain colours and physical characteristics; grey would have been within the achieveable range. The company was active from 1865 until 1940, producing a wide range of bricks, tiles and refractory products. The fragmentary nature of the find precludes positive identification of precisely which range of products the find is from. The Buckley Brick & Tile Co Ltd owned a ship from 1869 until 1907 that was run mainly to transport products to Ireland. Thanks Robert for your very informative reply. The find had us stumped.